From “Wheel of Fortune” to “World of Warcraft,” the Auburn Chamber Orchestra featured “Music From the Small Screen” at its next concert Friday. Steven Frackenpohl conducted the orchestra through the pops program, which included music from TV shows “Star Trek,” “Jeopardy,” “Wheel of Fortune,” “The Rockford Files,” “Burke’s Law,” “Mannix,” “Peter Gunn” and “Wild, Wild West,” video games “Halo,” “Civilization IV,” “Kingdom Hearts” and “World of Warcraft,” hamburger commercials and Looney Tunes cartoons. 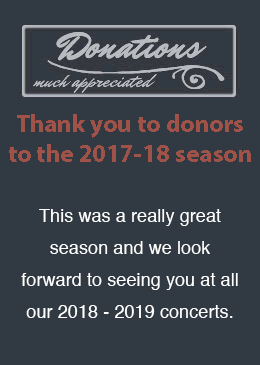 The concert was be emceed by former WAUB radio personality Joe Salzone, and was also to honor graduating high school seniors Zane Carnes, Jimmy Drancsak, Jayde Goodwin and Sam Hensel for their participation in the orchestra.